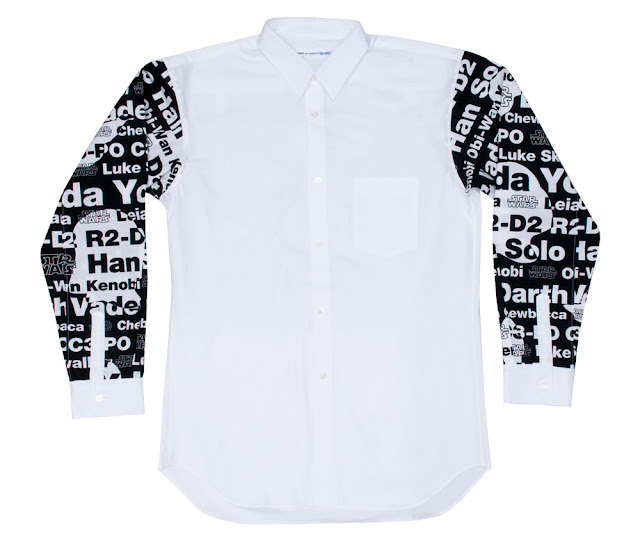 If It's Hip, It's Here (Archives): Commes Des Garçons Uses The Force For Fashion With A Star Wars Collection. 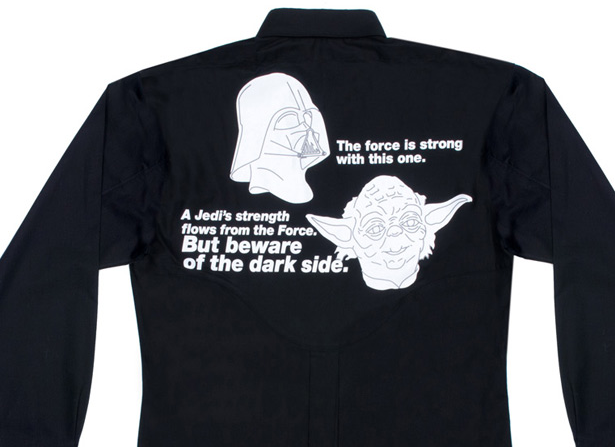 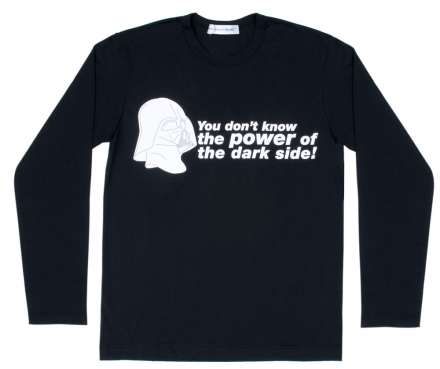 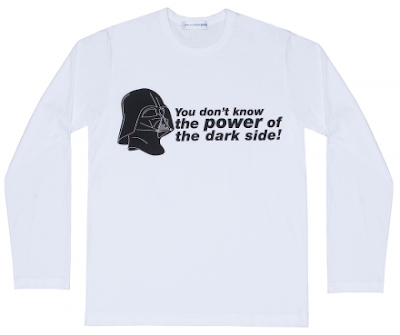 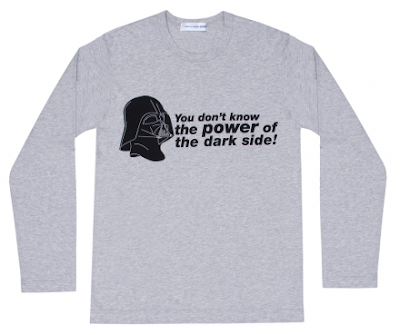 Commes Des Garçons Uses The Force For Fashion With A Star Wars Collection. 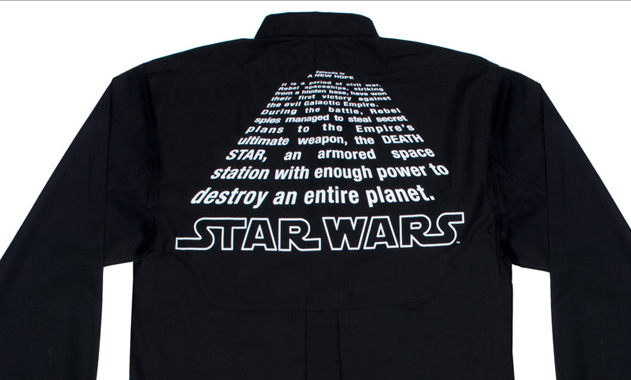 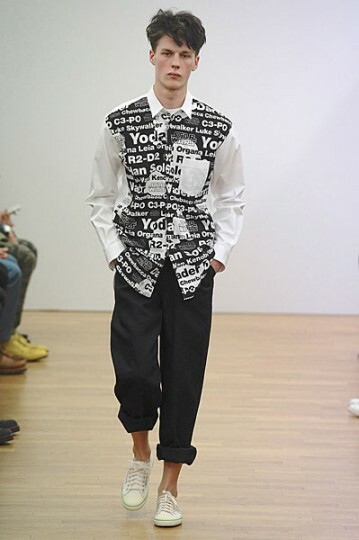 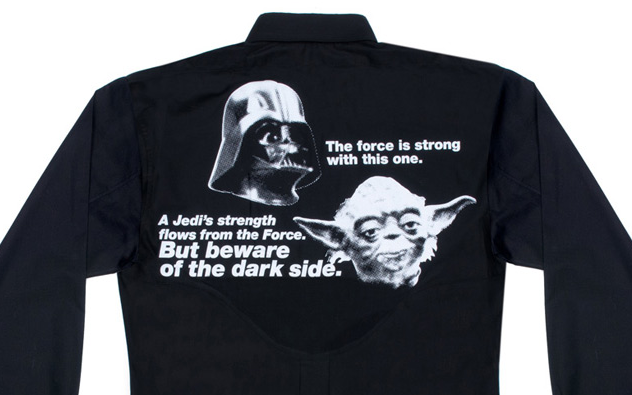 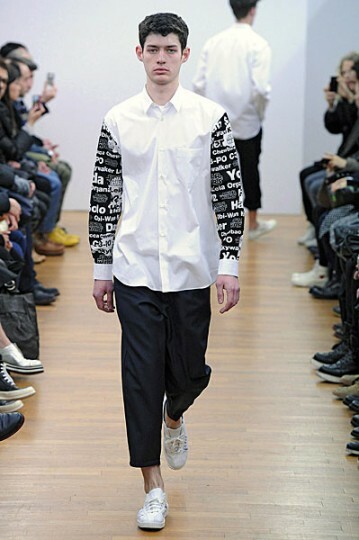 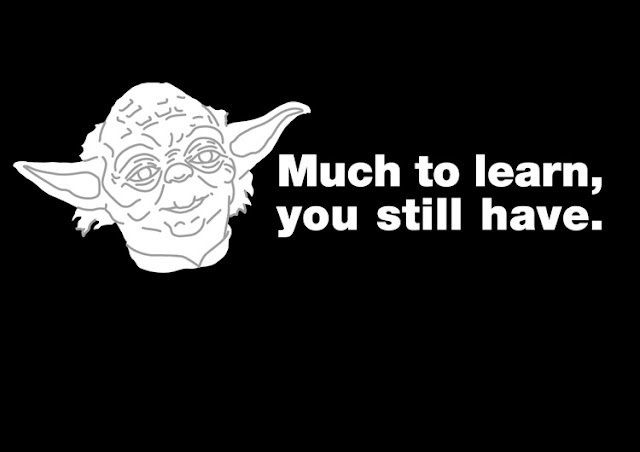 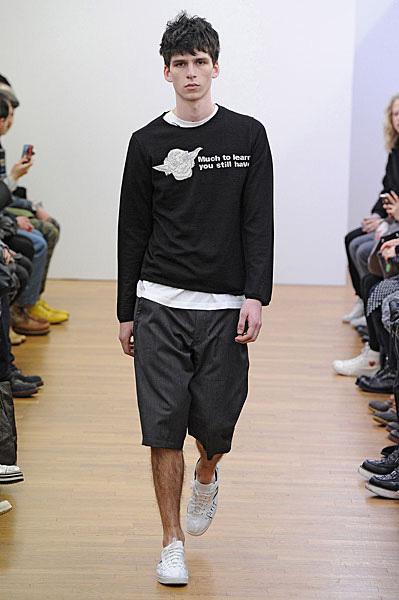 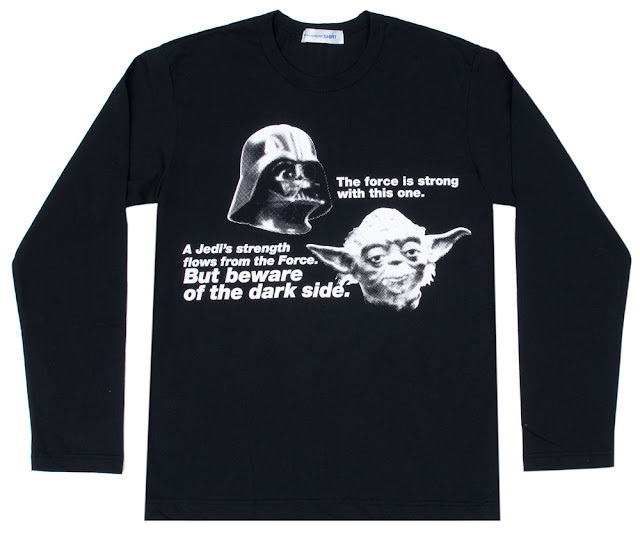 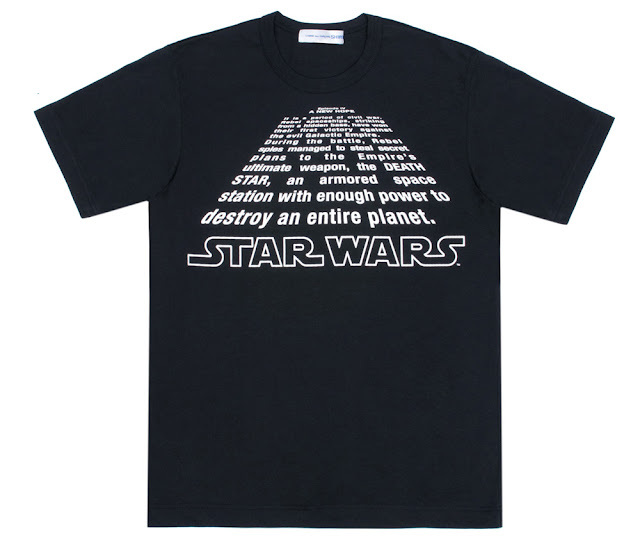 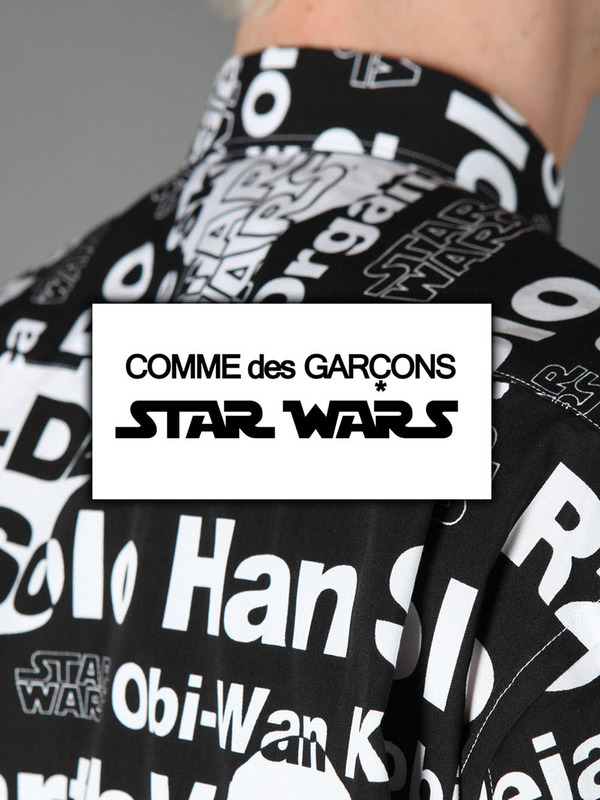 The Galaxy-wide launch of Comme des Garçons x Star Wars began this week. 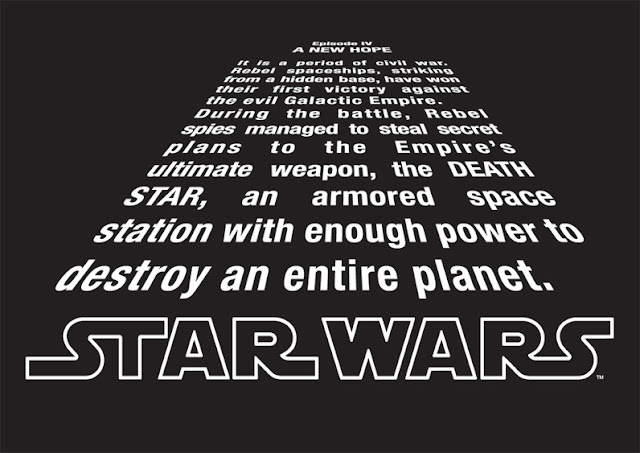 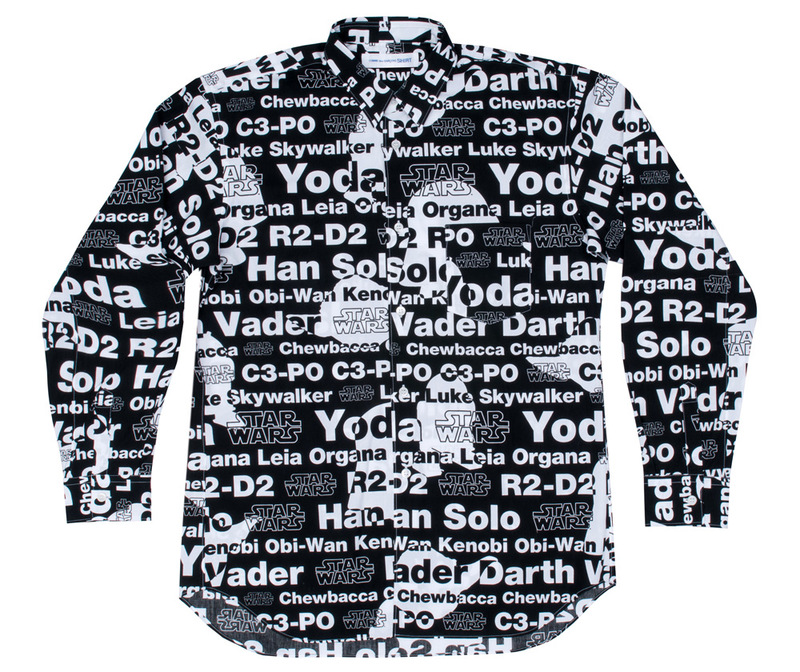 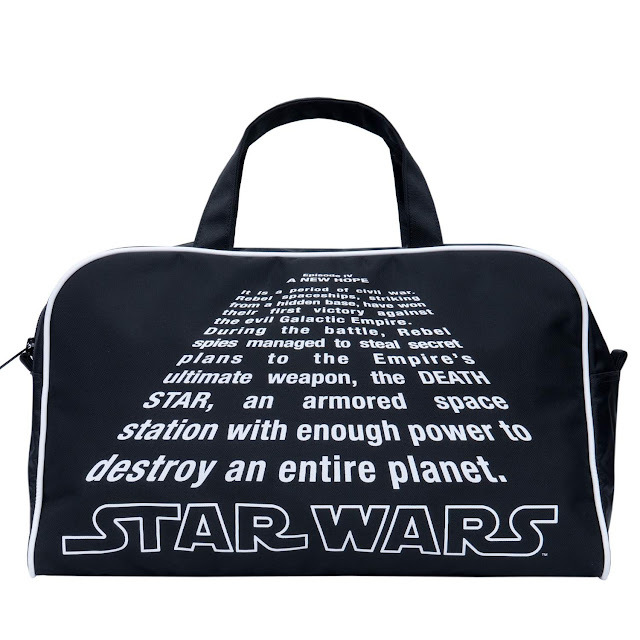 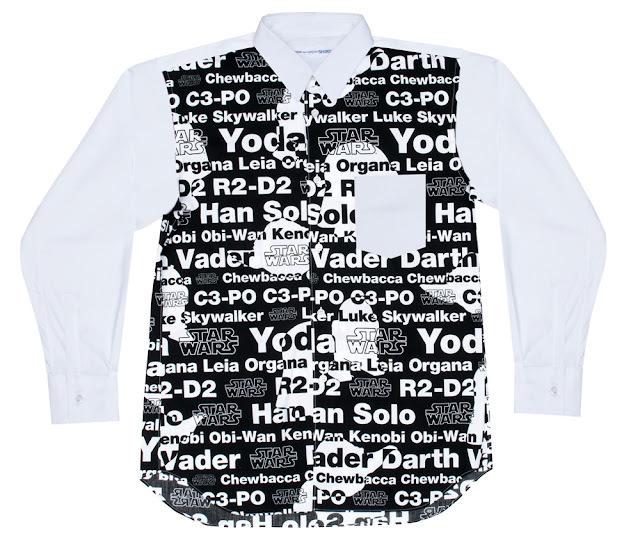 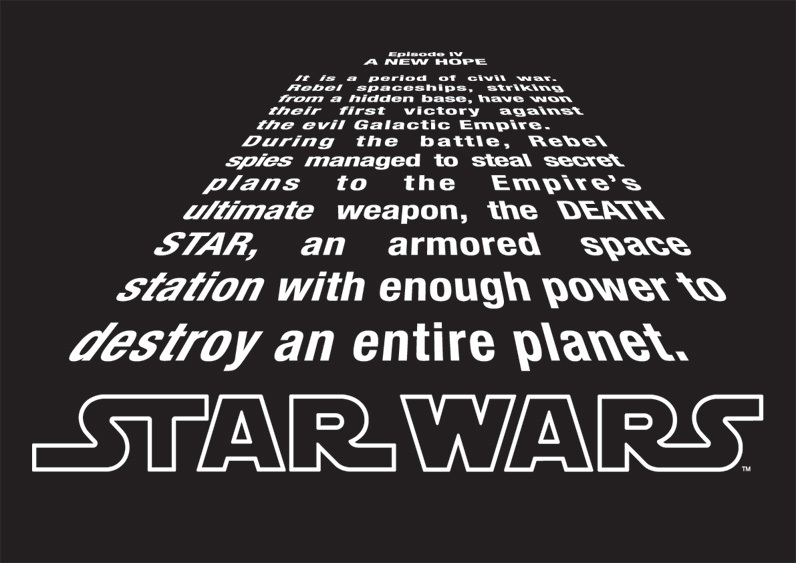 The new men's collection includes 6 black and white dress shirts, 2 long and 2 short-sleeve t-shirts and 2 bags all featuring the names of the characters, images of Yoda and Darth and/or classic quips from the original trio of George Lucas movies. 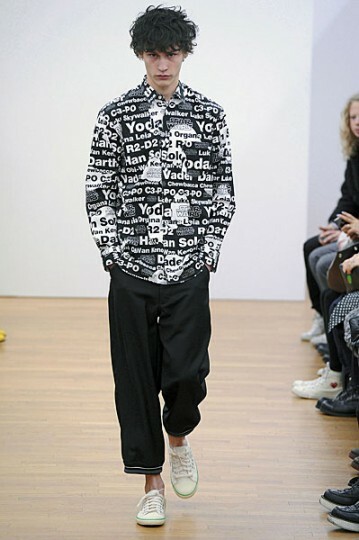 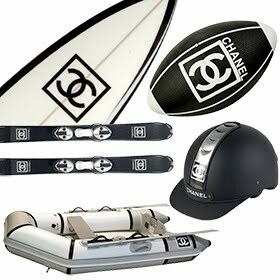 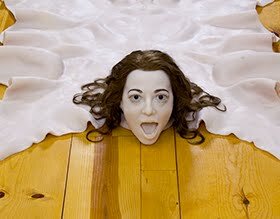 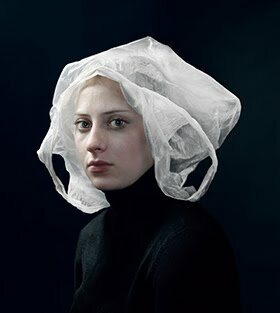 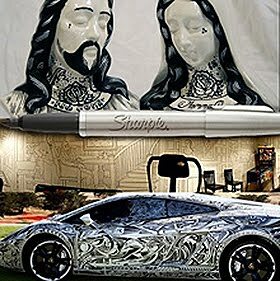 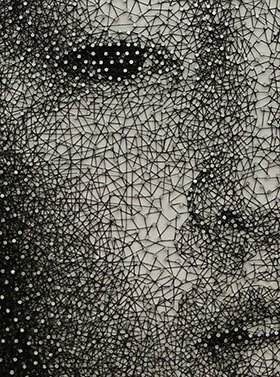 Sticking expensive price tags on sh** does not result in high fashion. George Lucas has no soul and these clothes look like Wal-Mart surplus inventory from 1988.